Enjoy Exclusive Complimentary Perks when booking your stay at Azura on Benguerra Island across WhataHotel!. 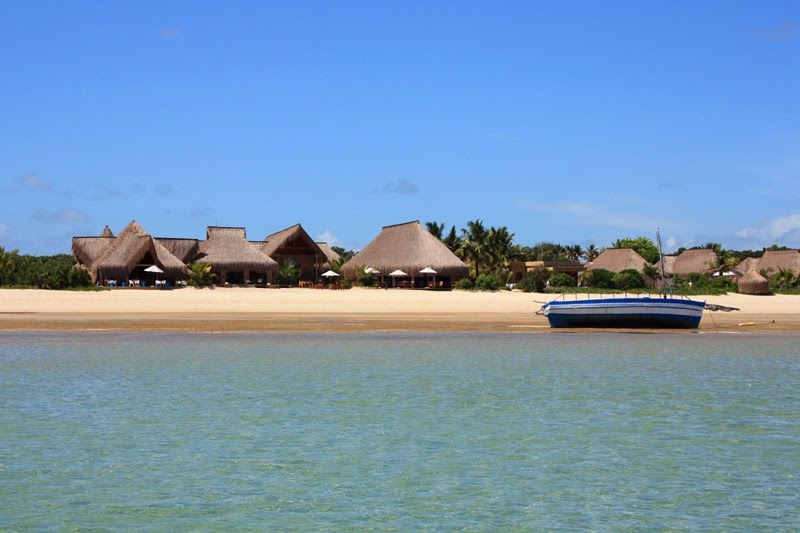 This tiny island is located inside a Marine National Park just 14 miles off the mainland of Mozambique, Africa. Pure white sand beaches and clear blue waters tempt guests to sit back and relax. Travel to this luxurious 'eco'-boutique resort that was built and operated in partnership with the local community and discover pure travel bliss. It's been said that great things come in small packages, and in the case of Azura on Benguerra Island, this phrase is so very true. Azura on Benguerra Island features 16 lovely villas, all nestled near one of the last undiscovered stretches of beach in the world. Each villa is beachfront, boasting an ultra-chic style with a coastal feel. The villas all have a private plunge pool as well as elegant indoor and outdoor space. 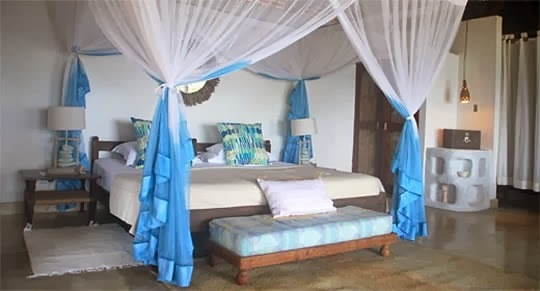 Guests will be thrilled to revel in the water based activities like scuba diving, snorkeling, and fishing during their time here, or keep your feet on dry land where visitors can enjoy island drives, beach picnics and day trips to Vilanculos. The resort spa is the place to go to enjoy a massage or a bit of pampering. Signature treatments offered here are inspired by the African culture and utilize body butters, oils and the highly prized Mongongo Nut Oil. Nothing is hurried at this opulent spa and all that leave will feel rested and rejuvenated. A stay at Azura on Benguerra Island includes all meals and house drinks alongside these other amazing amenities, and the resort cuisine is exceptional in every way. The onsite restaurants present guests with delightful meals featuring local flavors and fresh ingredients. 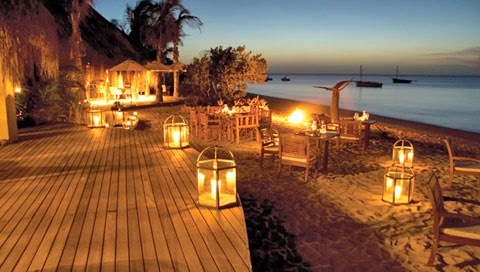 Whether you partake in the sunset cocktail, the extravagant candlelit dinner or a tempting after dinner drink, your food and beverage is sure to please. If you are searching for an island getaway that guarantees seclusion, glamour and let's not forget unprecedented service, look no further than Azura on Benguerra Island. When booking your travel across WhataHotel!, guests can savor Exclusive Complimentary Perks for an unbeatable deal. These perks include available upgrades, a one hour massage for 2, a bottle of wine and options for early check-in and late check-out. When these fantastic perks are enjoyed alongside the all inclusive meals and drinks, visitors of Azura on Benguerra Island are sure to experience an unforgettable travel adventure. 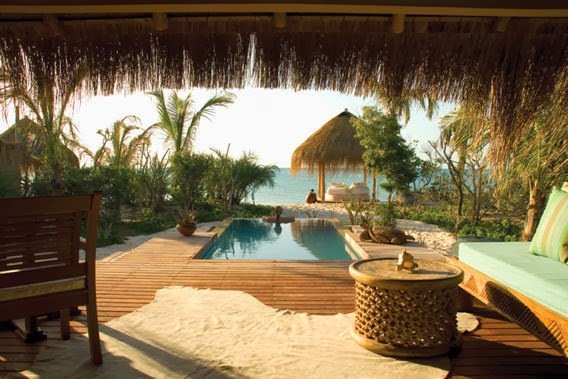 Although Africa may not be at the top of your list for opulent island retreats, the tiny Azura on Benguerra Island begs for a bit of your attention. Travel to a place where quiet calm, ocean breezes and limitless luxury are all easily discovered.